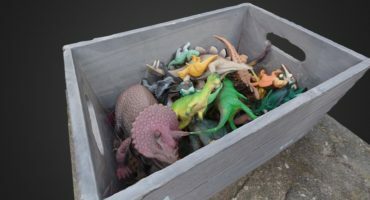 This is a “Quick Tip” post for beginner users of Agisoft PhotoScan. Decimation is the process of reducing the number of faces used to represent something in digital 3D. You might hear faces referred to as triangles, quads, polygons or polys online. As a quick example let’s take a quick look at this scan of a bust of Antonius by Daniel Pett from the British Museum. The British Museum lets you download almost all the 3D models from their Sketchfab profile so I was able to set up this demo scene using that data. Typically when processing 3D scan data (via photogrammetry or laser scanning etc. ), the surface models you generate often have a very high number of faces – often in the region of millions, if not more. So what’s the problem with that? Surely more data equals a better representation of the subject being scanned? In some sense this may be so but it depends a lot on what you are doing with the data. 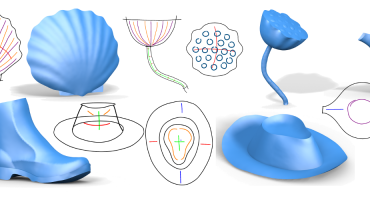 Hi poly models typically have a much larger file size and while this is great if you are running a simulation locally on some decent hardware, when it comes to sharing files online – as we are on Sketchfab – we should consider a few things if we want to share our work with as many people as possible across the planet. By optimising our file size it means that more people around the world can download our 3D faster – not everyone is on super fast broadband or has an unlimited mobile data plan. By optimising our files, our 3D models will run better on more devices – in classrooms, on mobile, embedded on social network sites. 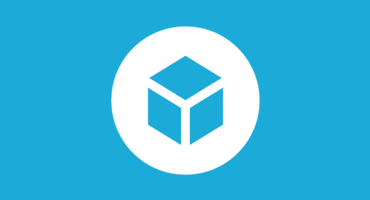 Sketchfab does good work behind the scenes to automatically optimise 3D models for delivery across the web, but as content producers we can help too before uploading data. So remember: to share 3D online, first users have to download your file – and while you might have super fast fibre at your work or home – other people might not be as blessed and could be using broadband or even dial up connections. If people are browsing on their mobile phone they may not be on 3g or 4g or 5g and may have limited data to spare downloading heavy media. File size matters – I know I have skipped looking at something online because it was taking to long before! Just a simply question…how do you added file text on 3D?..in Photoscan too? It would be great if the decimation process could be supplemented with the option to convert the mesh to quads. This should still work fine with the Metashape update, even though the default interface is slightly different.